Take fashionable OOTD with vivo smartphone (by showing logo). Hashtag #vivoMalaysia #PerfectSelfie #vivoxklfw and set as public post. Tag 5 friends on the post. EXTRA REWARD : Screenshot and inbox all 5 friends participation posts to vivo Malaysia to redeem a (1) complimentary TGV movie ticket. 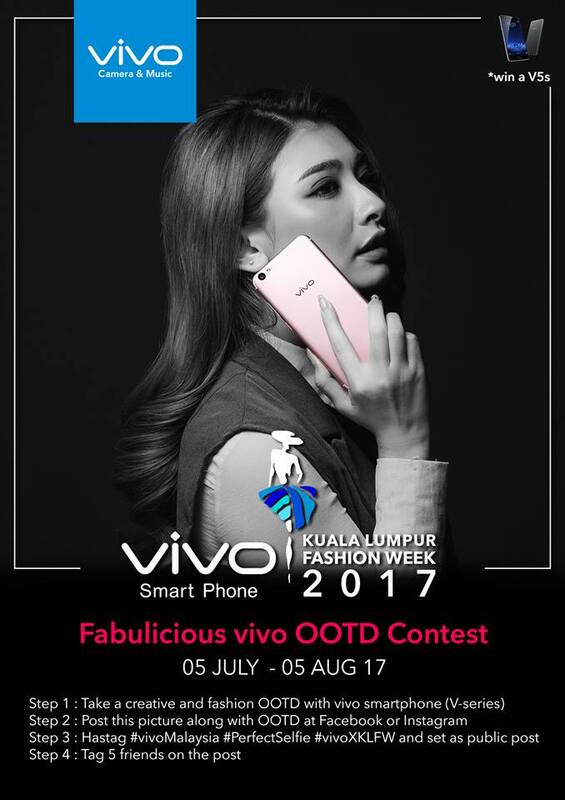 Visit Vivo X KL Fashion Week - Fabulicious vivo OOTD Contest terms and conditions for more details.